Overall: I recently purchased this awesome keyboard from zZounds music and have to say I am thrilled with it. I've heard some say the action is too heavy and others say it's too light. I've been playing my whole life and even though it may be a tad on the heavy side it plays beautifully. The key feel and sensitivity response are perfect. Out of the box and set up took me just over an hour. I'm using sonar platinum and have had no problems at all. I've yet to really dig into the control features and pads/knobs etc. but all I wanted really was a good quality controller that felt like a real piano. I got that and then some. Thanks again zZounds music for all that you do. Very satisfied. Style of Music: Rock and Pop. Some electronic. Overall: I bough this blemished from zZounds. However, there isn't a blemish on it and it was sparkling new, even factory plastic sealing keys etc everything intact. As it was preowned and returned it was registered to someone else, but zZounds and Arturia had that fixed in less than 2 weeks. I wanted a controller to control hardware synthesizers and while the assignability of controls on KeyLab can be complicated it is not unfathomable. I have gotten inside separate synthesizers programmed the KeyLab pads as program changes in each synth. However, I cannot get one buton access to each synth yet. This is easy to do in Analog Lab software that comes with this, so if I absolutely get stuck I will try Arturia support who again was right there about getting registration straightened out. 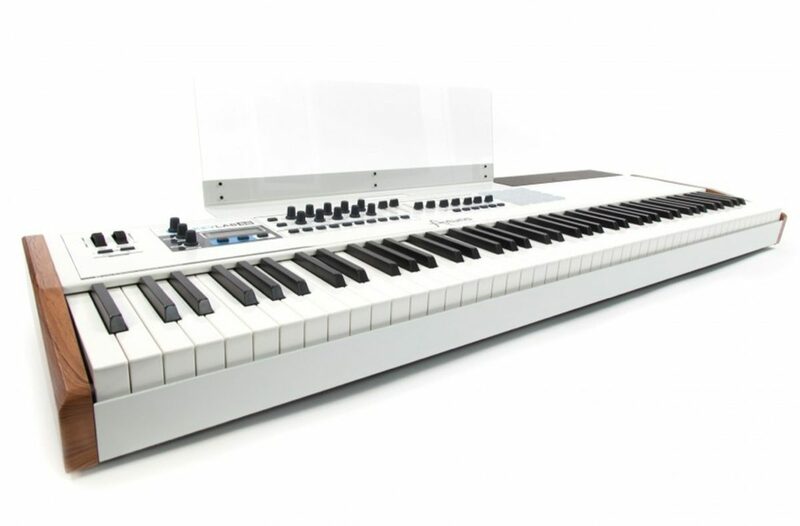 This is by far the best keyboard I have played on, is very sturdily constructed, and is just super far out and a very prfessional Midi controller, very premium quality. Again no problem being blemished, just saved me money.